Are you struggling to take care of your yard? Do you need a lawn service in Atlanta to get your landscaping back in good condition? If a beautiful yard is on your must-have list for this year, a quality lawn care company is a great way to help you achieve this goal. Many people want to hire a company but aren’t sure how to find the right one. 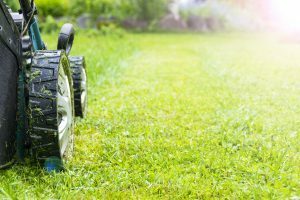 Keep reading to learn more about the 5 qualities to look for when hiring a new lawn care company. No one wants to pay more for standard treatment options, which is why it’s a good idea to compare treatment programs. Not all companies offer the same treatments as part of their standard packages. For example, some companies include lawn and shrub care. Others only offer treatment for lawns and any tree, shrub, or bush care is an add-on service. 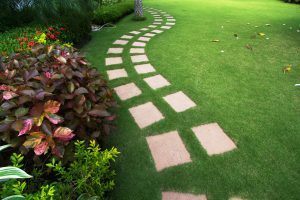 Decide what you need and find a company that offers the type of lawn treatment in Atlanta that you need at a competitive price. Do They Offer Additional Service on an As-needed Basis? A great lawn care company doesn’t just offer a few services and call it a day. Great lawn care companies offer a wide range of services designed to help their customers get the healthiest yards possible. Maybe you don’t need every service the company offers right now, but wouldn’t it be nice to know you can have your trees treated for pests if you need it? Working with companies that offer many types of lawn care services in Atlanta means you don’t have to look for another company down the road. You get to develop a relationship with one company you trust. Do They Offer Preventative Lawn Care Service? The best way to achieve a healthy yard is to know the signs of a diseased or distressed yard. Quality lawn care companies are happy to offer you tips and tricks for spotting potential problems. They give you the knowledge you need to be alert to potential problems. They also offer preventative lawn care services to get ahead of serious issues. Online reviews are a great way to get a feel for a company’s professionalism and service before you call. See what others are saying online about the company you’re interested in to get a feel for their service before you commit. Are you ready to get your yard ready for the growing season? For quality lawn care in Atlanta, contact TurfPride Incorporated to schedule a consultation today!